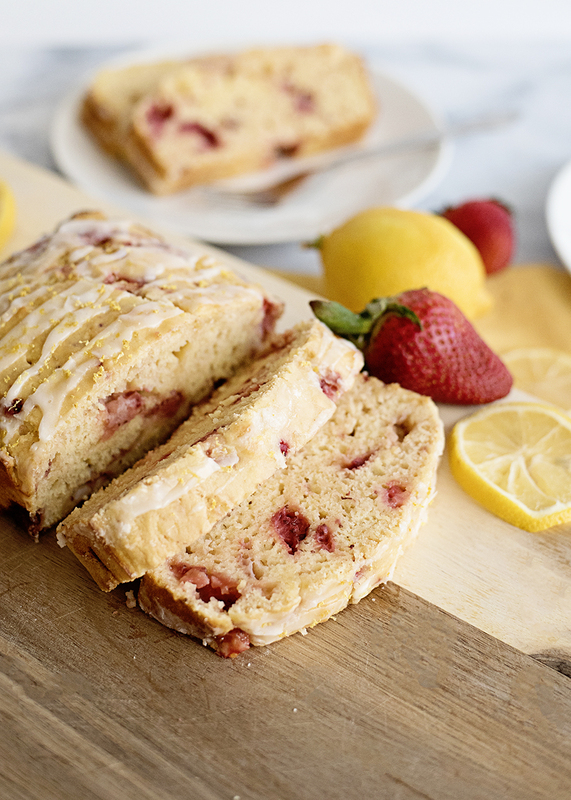 The flavors of lemon and strawberry just scream spring to me. And unfortunately, we’ve not gotten much spring weather here lately, so we all need to get a little spring however we can! 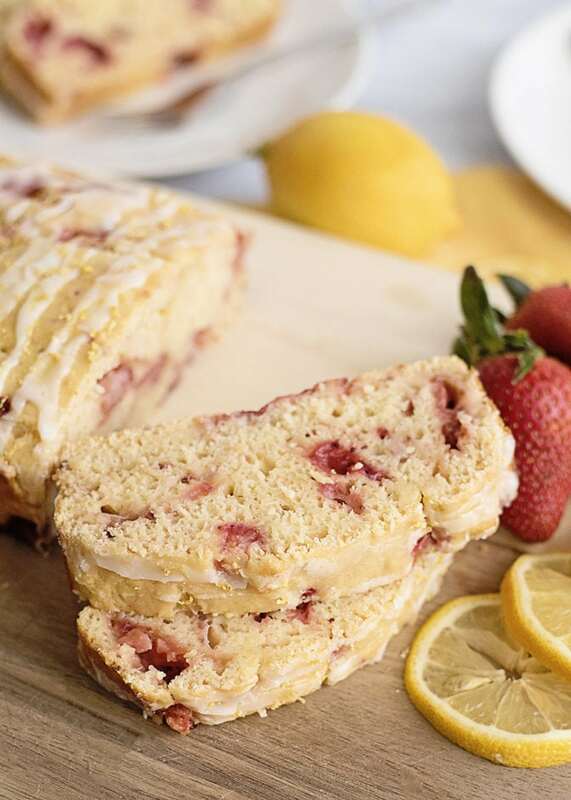 This Strawberry Lemon Yogurt Bread is just the ticket – all the flavors of spring rolled up in one easy-to-make bread. As usual, you can print or Pin this recipe, or better yet, claim your Southern Bite Recipe Box (it’s free!) and save the recipe there. 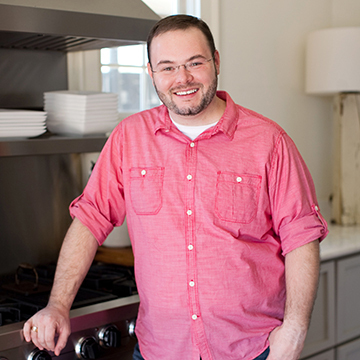 This recipe box is a brand new feature on Southern Bite and I know you are going to love it! Claiming yours is easy! Simply click on the little blue recipe box on the left side of your screen and sign in. 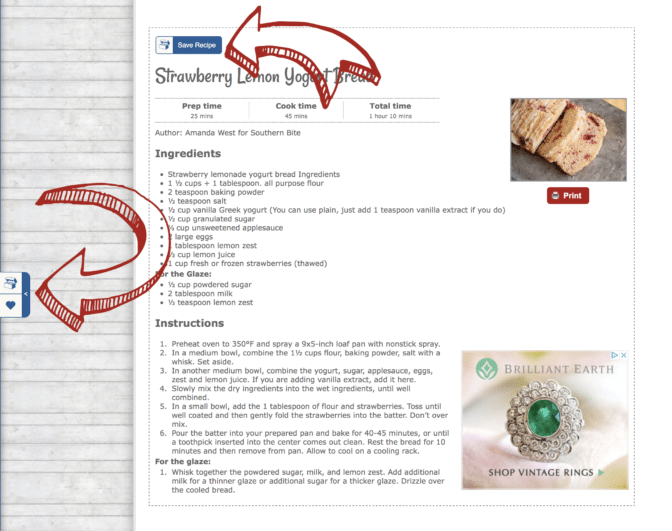 After that, just click the little blue heart that will appear beneath the recipe box button or the click the “Save Recipe” button on the recipe in any post. What’s even cooler is that some of my favorite bloggers have the same recipe box and they all link together. 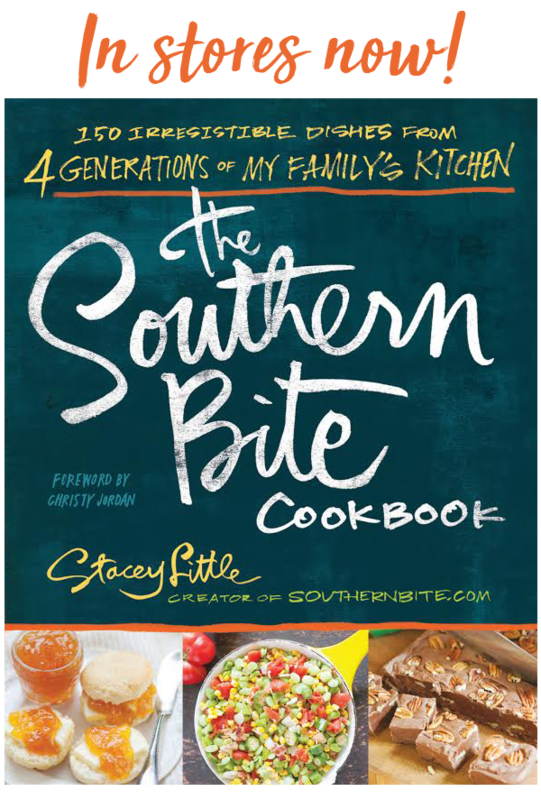 Visit my friends at Southern Plate, The Country Cook, Family Fresh Meals, Melissa’s Southern Style Kitchen and use your recipe box there too! 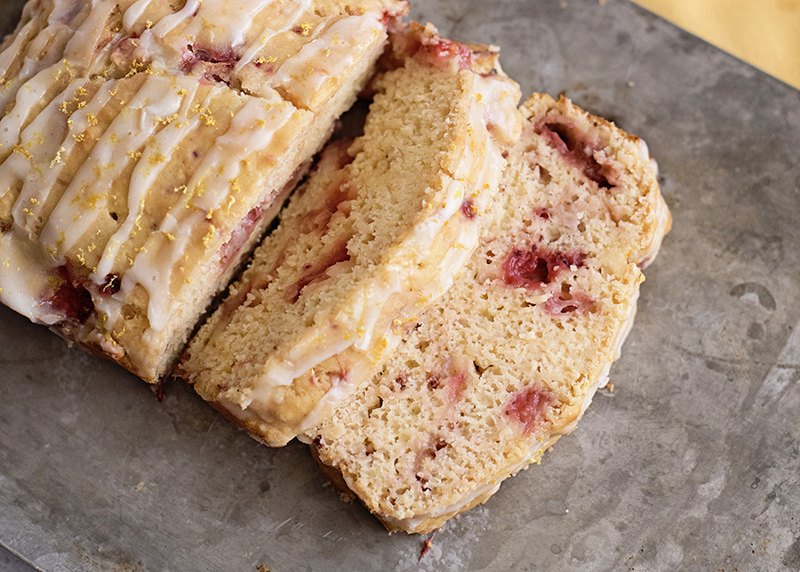 Preheat oven to 350°F and spray a 9x5-inch loaf pan with nonstick spray. In a medium bowl, combine the 1 1/2 cups flour, baking powder, salt with a whisk. Set aside. In another medium bowl, combine the yogurt, sugar, applesauce, eggs, zest and lemon juice. If you are adding vanilla extract, add it here. Slowly mix the dry ingredients into the wet ingredients, until well combined. In a small bowl, add the 1 tablespoon of flour and strawberries. Toss until well coated and then gently fold the strawberries into the batter. Don’t over mix. Pour the batter into your prepared pan and bake for 40-45 minutes, or until a toothpick inserted into the center comes out clean. Rest the bread for 10 minutes and then remove from pan. Allow to cool on a cooling rack. Whisk together the powdered sugar, milk, and lemon zest. 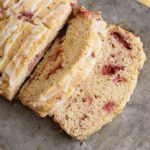 Add additional milk for a thinner glaze or additional sugar for a thicker glaze. Drizzle over the cooled bread. oh no! Do you see the blue “Save Recipe” button on the actual recipe? I love this new recipe box feature! I love your recipes, so I know my recipe box will be full in no time! Thanks for adding this! I sure hope it’s useful for you! I love this feature! And I also follow Southern Plate and The Country Cook so this is pretty cool! I hope it’ll be super beneficial!! Do you see the blue “Save Recipe” button by the recipe?